Scheduling model components for simulation or integration with an external scheduler requires the algorithms to be placed in Atomic Subsystem or Model blocks. The execution rate is then specified as either periodic (scheduled subsystem) or nonperiodic (function-call subsystem). Partitions are components of a model that execute independently as atomic tasks. In multitasking models, partitions are created from model components. With partitions, you can separate parts of the model that you can explicitly control in the Schedule Editor tool. The Schedule Editor is a scheduling tool that represents the components in the model known as partitions, the data connections between them, and the execution order of those partitions. The Schedule Editor can only be used on existing components, such as atomic subsystems, export functions, and model blocks. The Schedule Editor is an interactive tool that provides and easy way to view and edit the schedule of the model components. 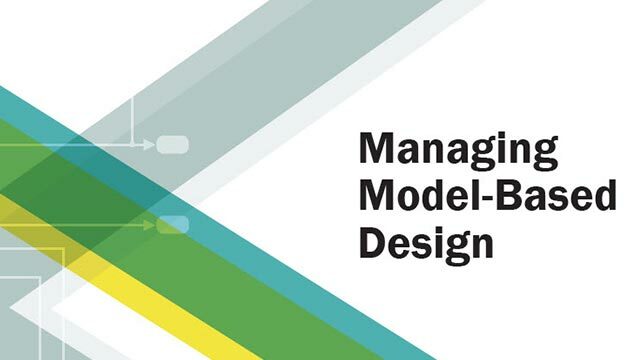 Overview of export-function models and requirements for building models. First step for creating independent functions in the generated code. Use an input matrix to specify and test function-call event scheduling. Use multiple Function-Call Generator blocks to test function-call event scheduling. Use a Stateflow chart to test function-call event scheduling. Generate code for functions that can be integrated with an external scheduler. 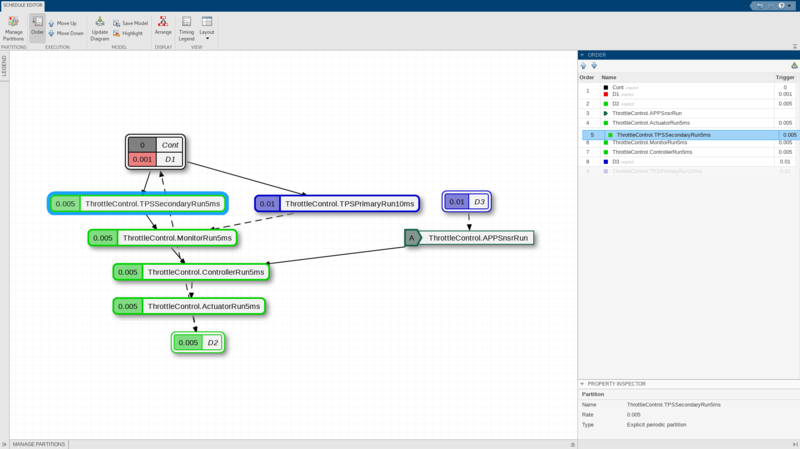 Generate code from models with function-call and scheduled subsystems. Specify scheduling of subsystem or model. Set periodic rates for subsystems. Generate code from the rate-based model, not from the model test harness. 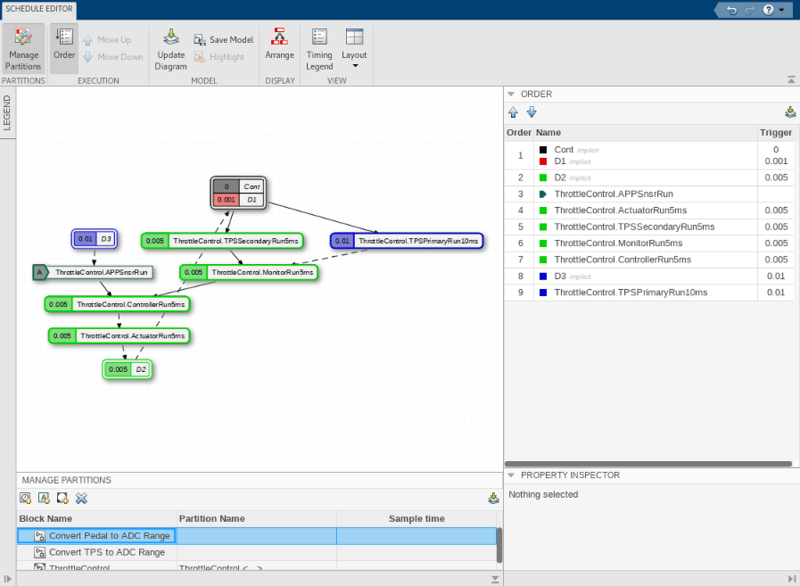 Simulink® determines the sorted order for model components (subsystems and referenced models). Learn the concept of partitions and how to create them from a model. 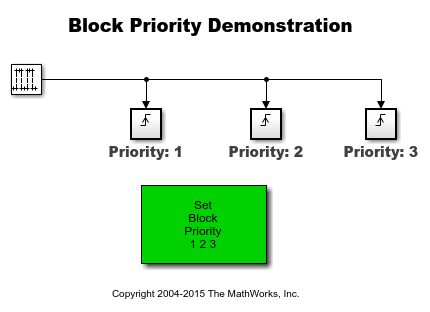 Learn about the execution order of the partitions and how to edit the schedule. 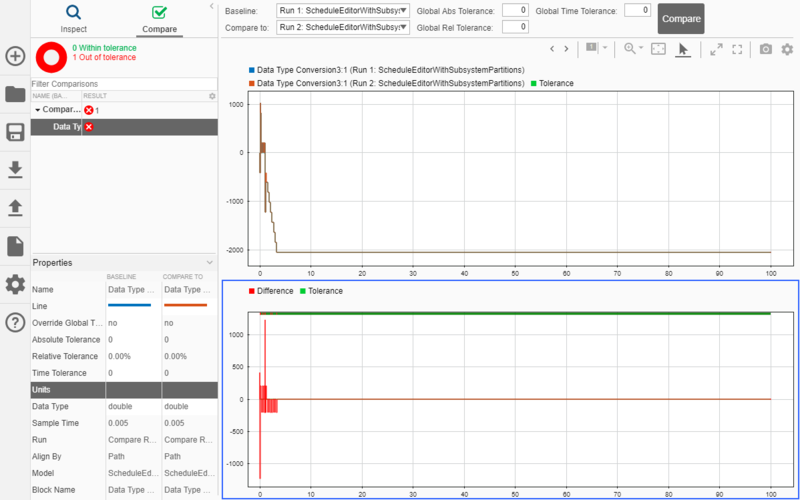 Learn about the impact of partitioning and editing the schedule on code generation. View and edit the execution order of function-calls in an export-function model using the Schedule Editor. As in all export-function models, the desired functionality is modeled as function-call subsystems. These function-call subsystems define the partitions that are scheduled by the Schedule Editor. Partition a rate-based model using the Schedule Editor. Partitions are the components of the model that can execute independently. In this example, we convert the subsystems into partitions and view and edit their schedule. 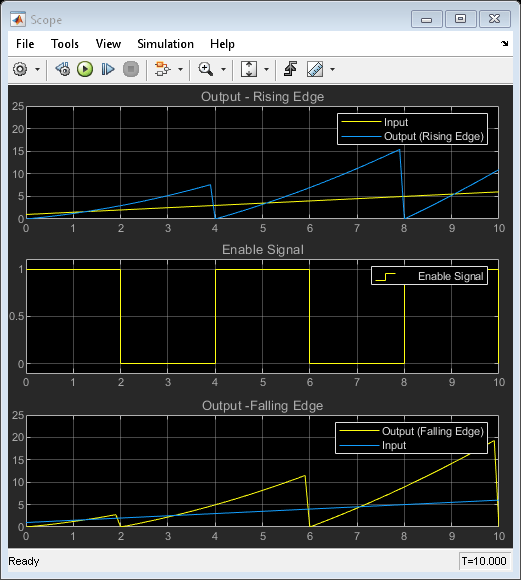 What happens when a ramp signal is integrated using two resettable subsystems. After running the simulation, the scope shows three plots.